Don't let a falling market take down your stock portfolio. 2. What Is a Diversified Portfolio? 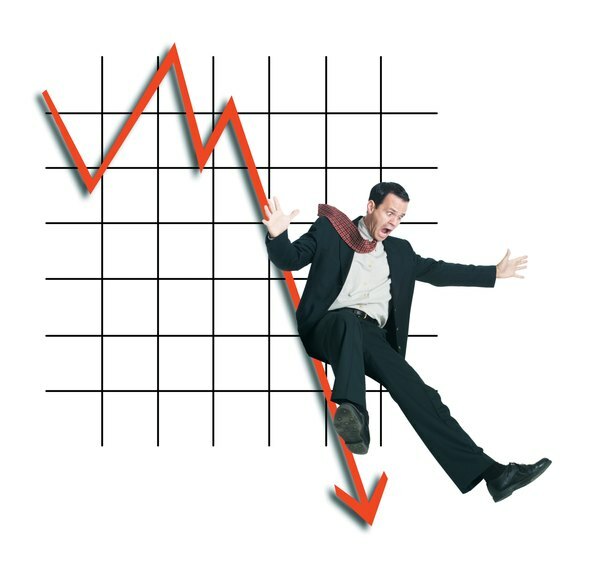 Owning stocks in a falling market is financially challenging, as you watch the value of your stock portfolio melt away with every downward price tick. Closing out the trade will contain your loss but also decimate your trading principal. If you think the market or your particular stock is in for a long decline, you can take advantages of several hedging strategies to protect your portfolio and offset the loss. Invest in bonds as a conservative way to hedge your falling stock trades. Bonds and stocks are inverse securities, so as your stocks fall, your bonds will increase in value. The interest payments you receive will take some of the sting out of your stock losses. Tax-free municipal bonds and high-grade corporate bonds are safe investments offering high interest rates. Check to see that the bonds have high credit ratings from a bond rating service such as Moody’s, Standard & Poor’s or Fitch. Purchasing bond fund shares can provide better hedging than you would get with individual bonds. Bond fund portfolios can hold a variety of bonds with different interest rates and maturity terms. Bond fund managers can sell lower interest rate bonds and replace them with higher interest rate bonds to increase the fund’s return. The funds are professionally managed and pay periodic interest payments. Select funds that hold high grade corporate bonds or highly rated municipal bonds to guard against default. Profit from falling stock prices and hedge your portfolio at the same time by purchasing put options. The more the stock price falls, the faster the put option increases in value. Not all stocks offer options trading. If your stock doesn't allow it, you can hedge your portfolio by purchasing index options that are tied to a specific index such as the Dow Jones Industrial Average, S&P 500 and Nasdaq 100. As stock prices fall, the index falls, and the put option price goes up. Index options are traded on the major stock exchanges. Consider investing in an inverse exchange traded fund, or ETF, to hedge your stocks. Inverse ETFs profit as the market falls and are traded along with stocks on the major exchanges. Inverse ETFs are designed to mirror a falling index while others are sector or industry specific. While some inverse ETFs use leverage to magnify their profits, this can also result in greater losses should the market move up. Seek the advice of an investment professional if you are not sure which hedging strategy is right for you. Be wary of bonds that offer an abnormally high interest rate. Also known as junk bonds, these bonds carry a very high risk of default. What Is a Hedge in the Stock Market?